Drones, or better said the flying robots are not the costliest technology anymore, and you too can have one just by paying a reasonable amount. There are various types available, and you can go for the one that suits your needs perfectly. The top best drone models are listed here to help out in selecting the right one. 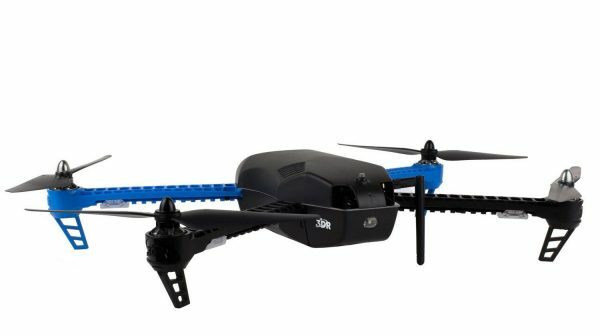 Today, you can buy a drone, a flying robot, or a remote-controlled aircraft, at affordable prices. There are many types of drone models available, so you can select a model that suits you. 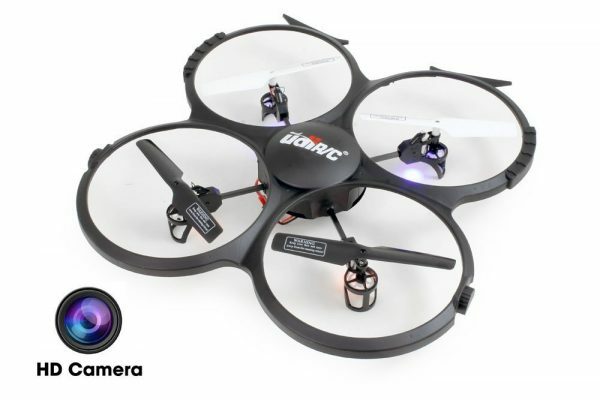 Drones are really cool tech toys and you can buy them just for fun. However, many of these models are useful for imaging or cinematic applications. The technology has advanced greatly and the latest drone models offer high video quality as well as stabilization. 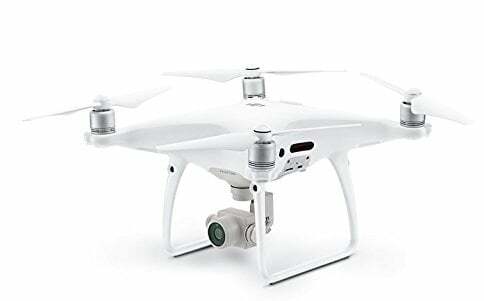 These drones are great for professionals who wish to capture stunning pictures through an aerial video platform. However, they are rather pricey, so go through the list available below. This is DJI’s visionary drone with precision hovering features. It is an app-controlled drone with an advanced VPS system that offers greater safety and precision, even in the absence of support by satellite positioning. It can pause in an instant and start hovering when you release it. Its core is made of magnesium, keeping it light and stiff, reducing vibration, with improved balance, agility and precision. You can switch flight modes and it is capable of a smooth cinematic mode, as well as for professional use. It can fly for 28 minutes with a range of 3.1 miles and live HD view of 720 pixels. It uses GPS technology for automatic takeoff and returning home. Monitoring and operation is easy using the app. The drone is capable of taking 4K ultra HD videos at 30 frames per second, supporting 12 MP (4000 x 3000) images. The lens focal length is 2.8 and offers clear pictures. You can also use DJI software for adding music, texts and so on to the video. Those who need a high-speed drone with complete features. The Inspire 2 leads DJI’s range of flagship drones offering the latest professional specifications. The design is similar to the Inspire 1 with a quad prop design, made of carbon fiber, which makes it very sturdy. The body is in magnesium aluminum with carbon fiber arms, so it won’t get damaged by bumps. There is a new FPV camera on the front and a system for avoiding obstacles on the front. They are able to track objects 5 meters over the drone. The package includes sensors for detecting terrain, placed at the bottom. It has the intelligence to prevent bumping into a tree or smashing on the ground. It also comes with the ‘return to home’ function, so you will never lose your drone. There is a dedicated remote controlling it. Users must connect with the drone using their smartphones and install DJI’s Go 4 application. Using the app, you can calibrate the camera, access flight modes and so on. The Zenmuse camera has a big sensor to offer vibrancy and detail, so you can take some professional images from the air. The drone can capture videos in 5.2K at 30 fps and 4K videos at 60 fps. You can also reduce it to 720p. It is excellent in avoiding an obstacle and comes with the latest Zenmuse camera, namely the X5S. It is also more robust equipped with dual batteries. Battery life is excellent, due to the dual setup, offering the flying time of about 25 minutes. Cameras can be swapped. 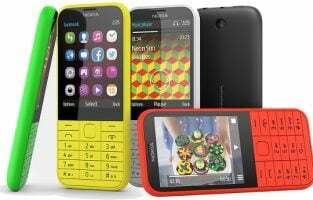 In short, it is lightning fast and rocksteady with great responsiveness. It is full of features and has several automated modes. Those looking for a professional level performance and quality. Suitable for industry professionals. Very useful for professional photographers as well as video creation, as they can swap cameras and use suitable lenses. 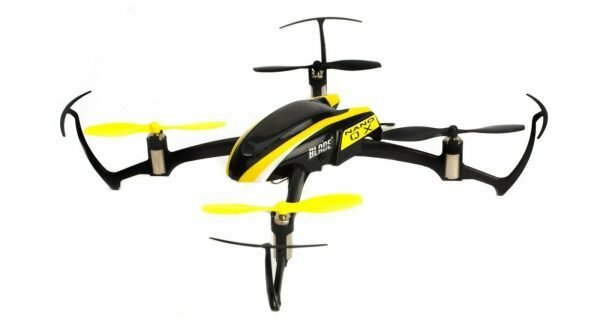 Those looking for a drone that is impossible to crash! It comes with foldable propellers, so they don’t have to be removed when storing it. Props are fixed and easy to install, with clicking, locking mechanism. The drone makes use of GPS as well as GLONASS satellites for getting information. It hovers precisely and can even be flown indoors without satellites. The sensors face downwards and can read ground patterns, keeping it flying steadily. There is also a Sport mode, which means the obstacle sensors are disabled and the speed is pushed to 40 mph. The remote control is a compact one and can be folded. There is an LCD display where you can see the battery life, the connection and so on. There are 2 analog sticks for controlling the drone, with buttons like Power; Return to Home and one for Pause. You can also make use of custom functions using the DJI Go 4 application. On the remote are found buttons for recording videos and photos. 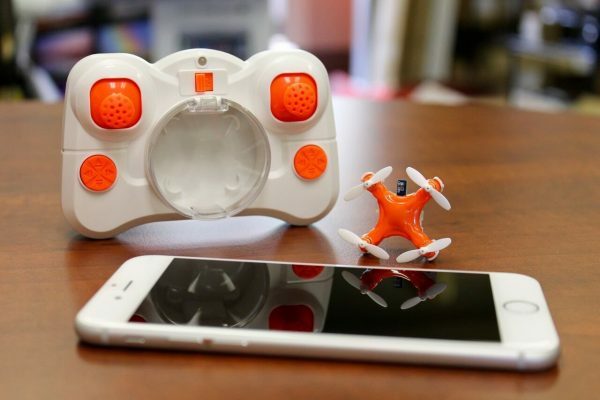 You can fit your smartphone on the remote, though you can fly the drone even without a smartphone. Using the app, you can enable different automated flight modes, put in place the obstacle avoidance feature, set video or picture settings and so on. You can use the TapFly feature for screen tapping instead of using flight sticks. The 8331 propellers come in a novel aerodynamic design, resulting in a silent performance and the latest FOC ESC drivers offer greater stability. The package includes 2 additional batteries; a carrying case; one set of spare propellers; one charger and charging hub. As for flight time, it averages around 30 minutes with a full charge. 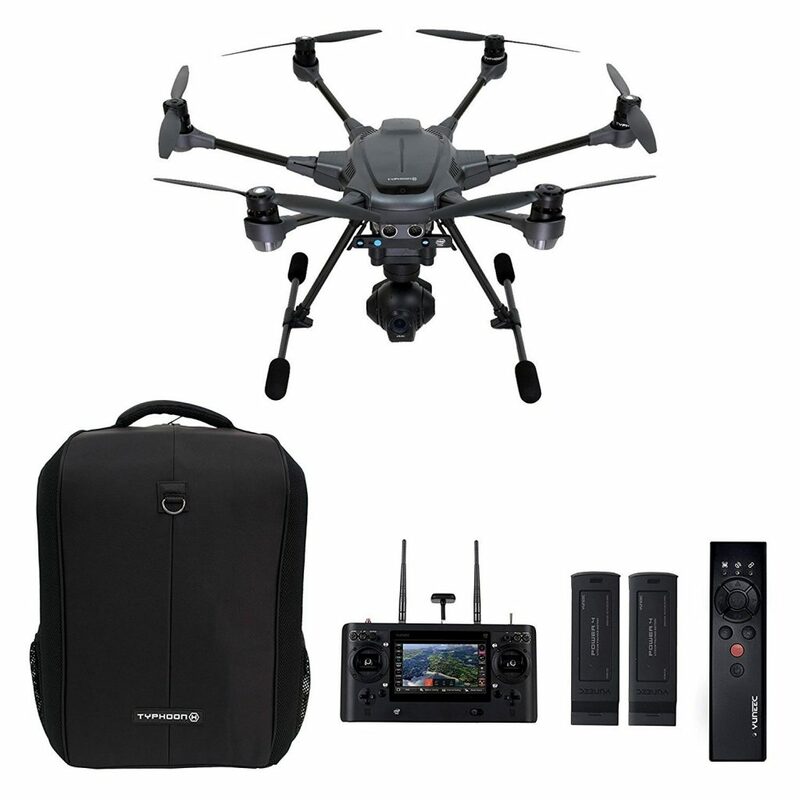 Those who are looking for a compact, professional drone that they can easily pack in their backpack and get it up in the air within minutes. Those looking for a quiet drone with a long flight time. Those who want a small, powerful, sophisticated drone as their creative canvas in the sky. 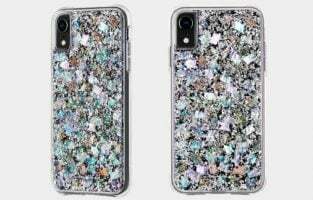 These are called the iPhones for drones, being the most popular ones with high-end features. 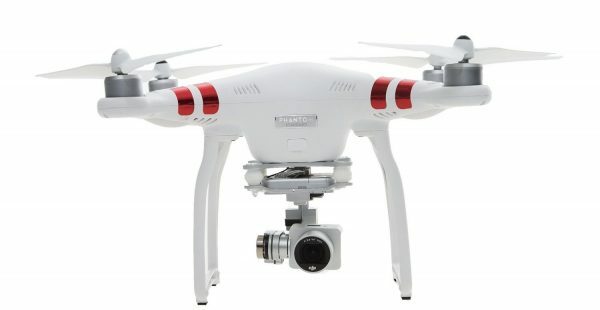 The latest addition to the Phantom 4 Pro, when compared to the original P4 is that the P4 Pro comes with a 5 directional system for obstacle avoidance. It has sensors on the front; rear; right and left; and also on the underside, making it effective in avoiding buildings and trees etc. The camera uses the latest hardware having a one-inch sensor and it can take videos at 4K, 60 fps and photos up to 20 MP. The design remains the same as the P4; a hull shaped one that is sturdy in build. It’s not very portable, as the arms and the propellers cannot be folded down and the landing gear does not retract or collapse. The battery life is around 30 minutes and it takes around 1.5 hours to charge it fully. It packs a speed of around 45 miles an hour and can fly up to 31 mph with obstacle avoidance enabled. Most of the usual autonomous flight modes are included along with a few extra ones. For instance, you can use the Point of Interest Mode; use Waypoints; Follow Me mode; use Course Lock; Home Lock and so on with tricks line Terrain Follow; Tripod Mode; Active Track features and so on. The return to home function is a dynamic one, where it avoids obstacles appearing on the way. The range is excellent, being equipped with OcySync technology, offering live HD feed from the camera at 4.3 miles distance. The camera is one of the best seen in a quad, with a one inch CMOS sensor, capturing great detail and image quality. As for video shooting, there are several options like; cinematic 4K DCI at 24/25/30 fps and 4K UHD at 24/25/30/60 fps. You can also scale it down to 2.7K; 1080p or 720p at 120 fps. Not a portable option, but you can stuff it into your backpack if necessary. Professionals looking for a speedy and agile drone with high end specifications. If you want one of the best drones with omnidirectional obstacle avoiding features and the best camera. This is a smart drone that is also safe to fly, due to a new technology that keeps it from harm. The dimensions are 168 x 83 x 49mm when folded and 168 x 184 x 64 when unfolded. The camera is a 12 MP one with a video resolution of 3840 x 2160 at 30 fps and a photo resolution of 4056 x 3040 pixels. 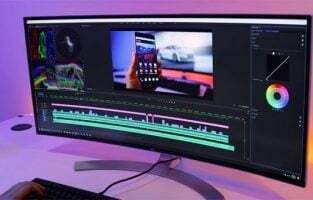 It can take 4K resolution videos at 30 fps with a bit rate of 100 Mbps. 4K videos are sharp and full of detail. There is 8 GB internal storage along with a microSD card for expansion. 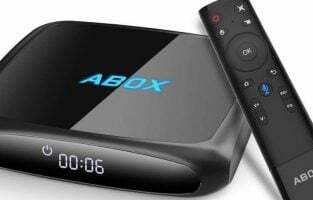 It comes with several control modes, such as Gesture; mobile device and remote controller. The obstacle sensing is both backward and forward and the maximum range is 2.4 miles, with a maximum flight time of 21 minutes. It can fly to 42.5 mph in the Sport mode. The SmartCapture mode is an intelligent feature where you can fly the drone using hand gestures. Users can access the DJI Go 4 mobile application to enter these modes. The features are cool. For instance, you just hold your hands in a frame form using thumbs and forefingers and the drone starts video recording. There are also several preset fight paths for bite-size videos. 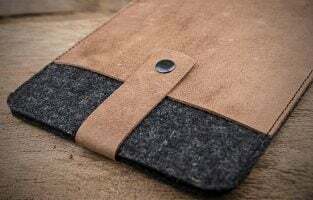 You will need your smartphone to use as a screen. It can avoid obstacles in the front, below, underneath and also go around obstacles automatically. 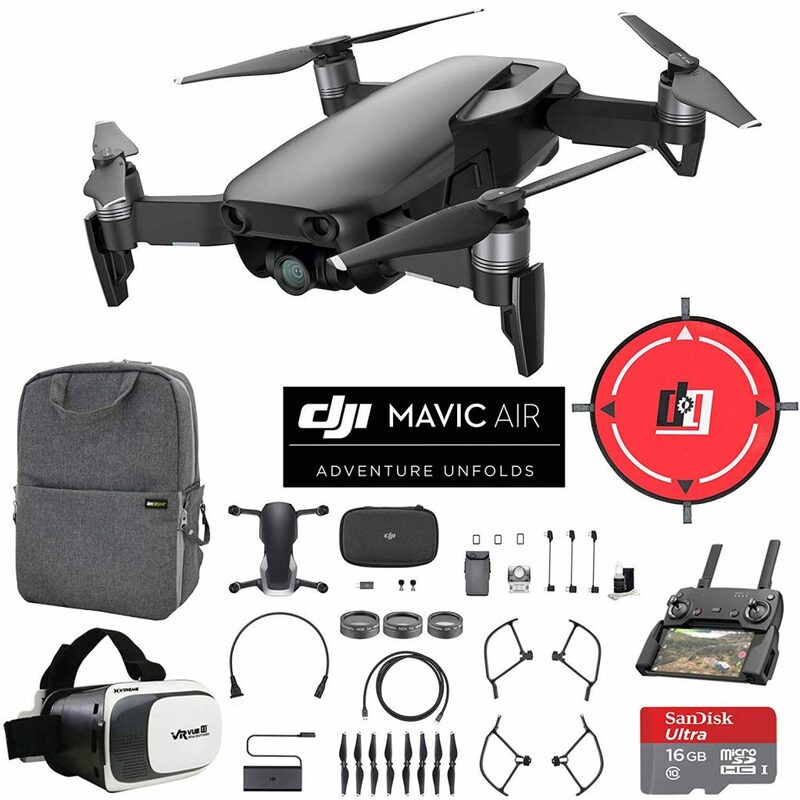 Its compact size is the most remarkable aspect of the DJI Mavic Air, as you are more likely to take it with you. It is a safe and stable camera for casual use. Suitable for consumers looking for a compact folding design to travel with. Those who are interested in good 4K resolutions and amazing technology, with a pocketable drone. It’s more casual focused than professional focused. For non-professionals who want a camera drone in a compact form. The Parrot Anafi Drone is a compact drone taking 4K images and comes packed with several features. Image quality is excellent with 4K 100 Mbps bitrate. There is a built-in HDR videos feature. This is a good feature for the price of the drone. You can get better balance and exposure in HDR images. High-resolution pictures contain good details. You can shoot DNG as well as JPEG images. Another interesting feature on the Parrot Anafi is that the camera can be tilted upwards for capturing images in a unique angle. This is a unique 180 degrees tilt gimbal, which is very suitable for taking low angle shots. It can also zoom in maintaining good image quality. For 4K images, the maximum zoom is 1.4x and for 1080 pixel shooting, the zoom can go up to 2.8x, maintaining the details. Many automated options present in DJI drones are missing here. However, there is a Follow me feature that users can buy additionally. Moreover, the obstacle avoiding feature is also missing. It is compact and can be folded for travel. There is no internal storage, but there is a 16GB SD card instead. It comes with a large and sturdy remote control. Battery life is good at about 25 minutes flight time. It is a smart USB C battery. The package includes the Parrot Skycontroller 3, which is a foldable controller. Those who want a compact drone for capturing stunning aerial images in 4K. Those looking for a good battery life, unique camera features and a strong connectivity. It is designed for videographers with excellent image quality. It is a safe consumer drone in the form of a hex copter. There are two additional rotors apart from the usual quadcopter, making it more powerful and stable. Even if one blade has some issues, it can safely come back to you, as it needs only 5 rotors for flying. Another interesting feature in the Yuneec Typhoon H Pro is the RealSense technology from Intel. This offers a virtual 3D model of the surroundings so that it is able to detect obstacles in the way. The field of view is wider and it can maneuver well around an obstacle, though there is no 360-degree coverage. Though it is large, it is portable, with all rotors being collapsible. The package includes a backpack to place everything in. There is a built-in GPS system that protects it from flying if there are nearby buildings. It has different modes, such as the Follow Me mode; the Cable Cam; the Orbit mode and so on. You can also operate the Team Mode, where there are two controllers. As for the image quality, you can shoot 4K images in 30fps and 1080 pixel images in 60 fps. You can also take 12 MP photos with 115-degree FOV. It is easy to take cinematic footage due to the flexible gimbal. It has a 7 inches integrated screen. The package comes with an extra battery; a Wizard controller along with a backpack. Those looking for a consumer drone equipped with all the required technology. Suitable for dedicated hobbyists, offering safety, reliability as well as enjoyment. Hobbyists looking for a safe piece of machinery. Useful for consumers interested in activities like quad biking or cycling, as they can create records as they go. Those looking to capture difficult aerial images, as the 3 axis gimbal of the camera allow it to rotate a full 360 degrees when flying. Looking to own the best drone model by paying the reasonable amount, Blade Nano QX is the one you should consider. Nano QX RTF model is the basic set that is available under $100 but offers the basic needed features. Those ready to pay a bit more, i.e. $300, can have a look at the Nano QX FPV RTF model featured with first-person view headset through which it lets the user know the drone’s perception of the world. The beginners need a drone that is hard enough, but available at affordable prices. The reason is, when someone is learning to fly the drone, it might face a crash anytime or might lose the control which causes the drone to hit the tree or fall in the river. So, a hardy and cheap drone is the best for the beginners. UDI U818A is one of the best drone models that have four loops to protect the rotor inside it. The rotors are really cheap and easy to replace. 640 x 480-pixel video camera is also added. DJI Phantom 2 is the best set if the purpose is to capture high-quality images or getting the first-person pilot experience. Though the price is little high, the 14 MP camera and HD video camera able to record 1080p at 30 fps or 720p at 60 fps makes it worth having. A remote control is offered to control the drone. The captured video can be enjoyed at once as the Vision 2+ will send the video to Smartphone through Wi-Fi connection. Also, in case the control is lost, the drone will come back to the place from where it took off. 5200 mAh battery allows at least 25 minutes flying. Iris+ from 3D Robotics is the one which is perfect for all those who are looking for the set that can be used for any purpose they want. This comes with a USB set computer interface and open-source software so that the users can create the GPS guided flight plan. 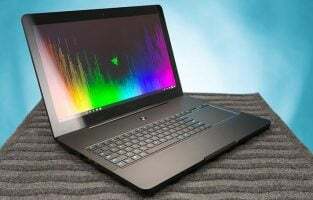 This is not cheap either, the base model is priced at more than $500 and to get the one included with more features will cost you even more. 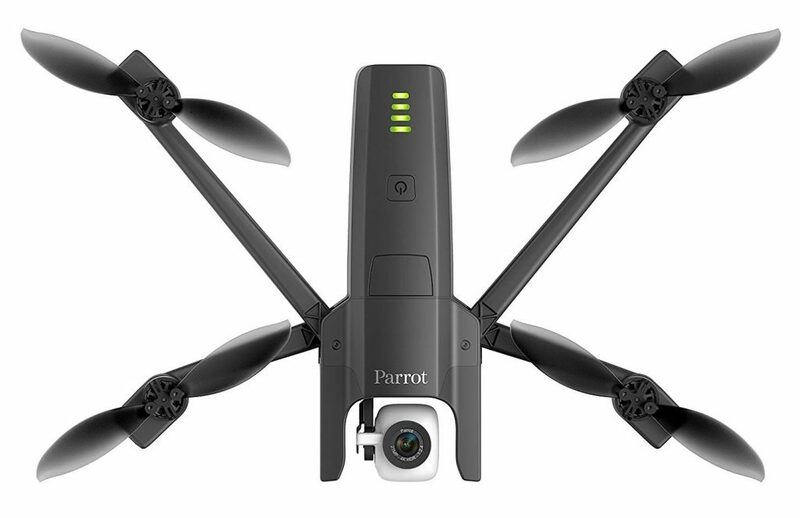 Parrot MiniDrone Airborne Night is another good drone to bring light into darkness. This is packed with two LED lights and can fly at 11mph for about 9 minutes, which is not bad at all. Also, the accelerometer, gyroscope, ultrasound sensor all of three-axis help the quadcopter staying stable in the air. The LED lights can be controlled to adjust the intensity of light. Also, a mini camera makes the whole thing very impressive by letting you enjoy the aerial selfies. 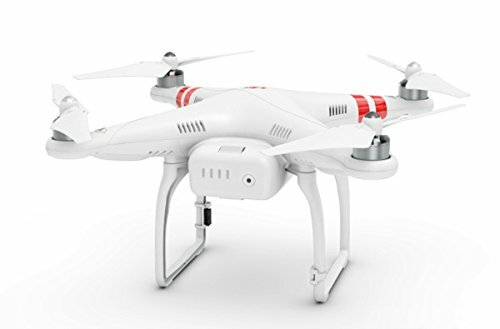 This is the standard version of DJI Phantom 2, which allows capturing videos of 1080p at 30 fps and 720p at 60 fps. This phantom 3 came with 12 MP camera. But the wheel for angling the camera, integrated Wi-Fi are some of the impressive features that make this version highly wanted. If you are looking for the best miniature drone which is affordable, then Axis Aerius Drone is one of the best drone models for you. Available at a very low price, this drone provides real fun to fly it in the night with the four LED attached. Also, you can have a control over the drone using the plastic remote control offered with this set. 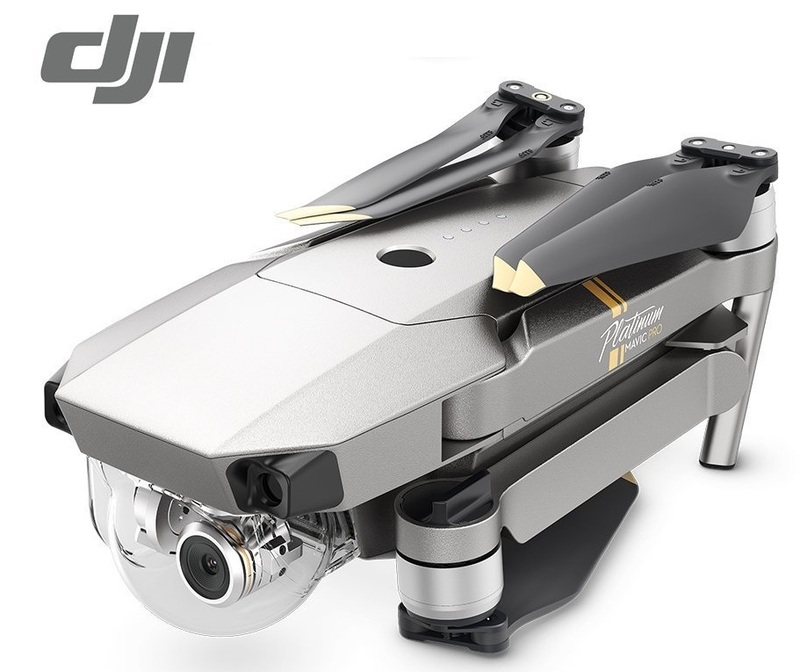 The drone models mentioned in the list are solid models that offer good stability in flight and come with good quality integrated camera, suitable for vloggers and film projects and other professionals. These are drones that are ready to fly, so you can use them right out of the box. However, you may have to use your Android or iOS device for viewing the camera feed, whereas some models have Android tabs built in the remote control itself. 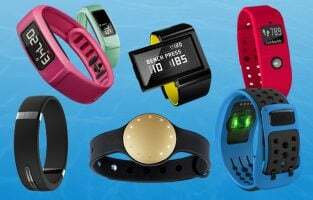 All these models also come with the usual safety features, such as an automatic feature for returning home, GPS and so on, so that it flies back home if the battery goes down. Check out FAA guidelines before using your drone, as there are some no-fly zones, such as areas near an airport. Most of these models are already set to follow these regulations, but you need to be careful or else you might be fined. The best drone models are discussed here. 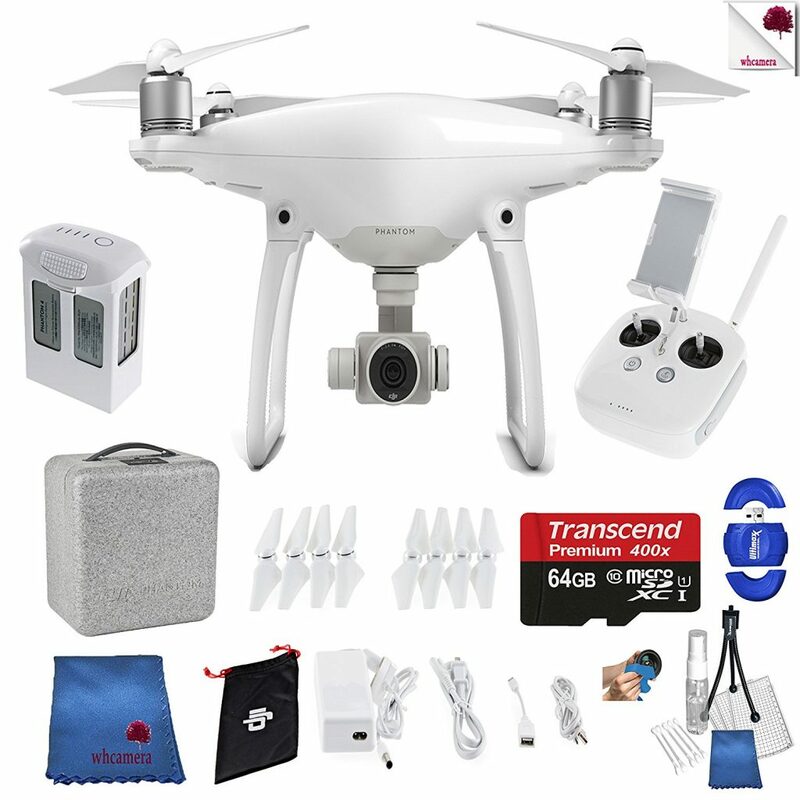 Drone models of various ranges are included here so that you can go for the one that suits your need and budget best.